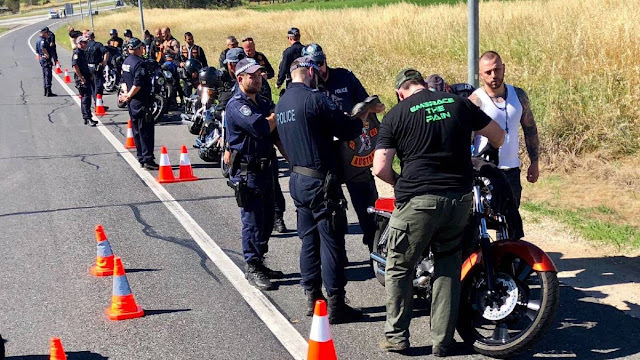 Albury, NSW, AU (March 20, 2018) BTN — The Bandidos motorcycle club are moving to establish a new chapter in the Albury-Wodonga area, according to police. The news came to light during a case in Albury Local Court following the formation of a strike force last August. 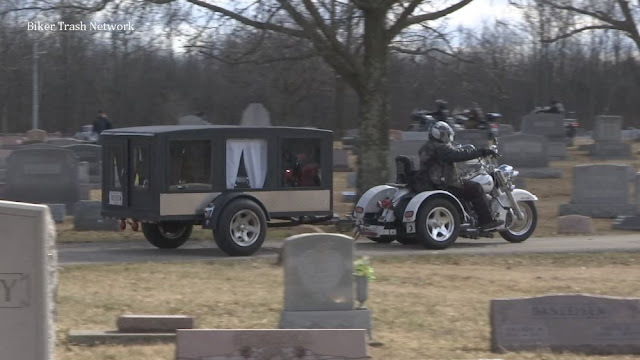 If successful, the motorcycle club would join the Black Uhlans and Gypsy Jokers, which both have local clubhouses. The Albury Drug Squad and members of Strike Force Raptor, which targets bikies, conducted multiple raids against Bandidos members and associates in Albury in November and December. They had been listening in on members and allegedly seized about 60 grams of ice hidden in a fake gas bottle during a traffic stop. Police had formed the taskforce to tackle drug manufacturing and supply in the region, which had allegedly involved the purchase of precursor chemicals from Bunnings. Four people, including a Wangaratta man Danny James Kearney, 26, were arrested. Kearney, who is either a patched or prospective member of the motorcycle club, pleaded guilty to two charges on Monday. The court heard the club was trying to establish a Border chapter and that officers had identified local members, which was followed by warrants to conduct surveillance. The 26-year-old was caught during the phone tap planning an insurance scam worth $8460 after a car crash near Racecourse Road in Lavington on October 16. He has also pleaded guilty to using a false document, which is linked to the use of fraudulent licences. Clinton Roy Parkinson was also arrested during the bikie raids and charged with a string of drug supply and other offences. He also appeared before court on Monday and said the police case was “weak as”. “It’s got nothing to do with me,” he said. Solicitor Alina Yousif, who was also charged, appeared before court. Magistrate Rodney Brender heard there was 300 gigabytes worth of material recorded by the police which had been supplied to her lawyer. The court heard there had been moves to pin the blame on another co-accused, David Oddy, and shift the blame away from others allegedly involved.